The explorations of gender play a notable role in contemporary art practices. 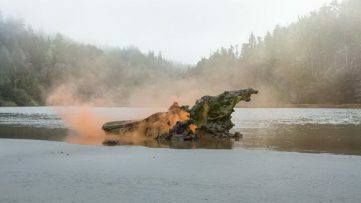 By critically articulating socially constrained roles and identities, artists attempt to propose new representational models in order to subvert, re-imagine or deconstruct the notion of gender or to at least state that it should not be a fixed category. Triggered by the Second wave of feminism, during the 1970s a number of significant women photographers became active and one of them was American Laurie Simmons. 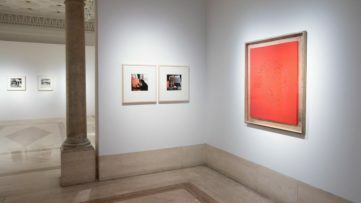 In order to revisit and analyze her practice from a fresh perspective, The Modern Art Museum of Fort Worth decided to presents a major retrospective covering her photographs made in the last four decades, as well as a small selection of sculptures, and two films. 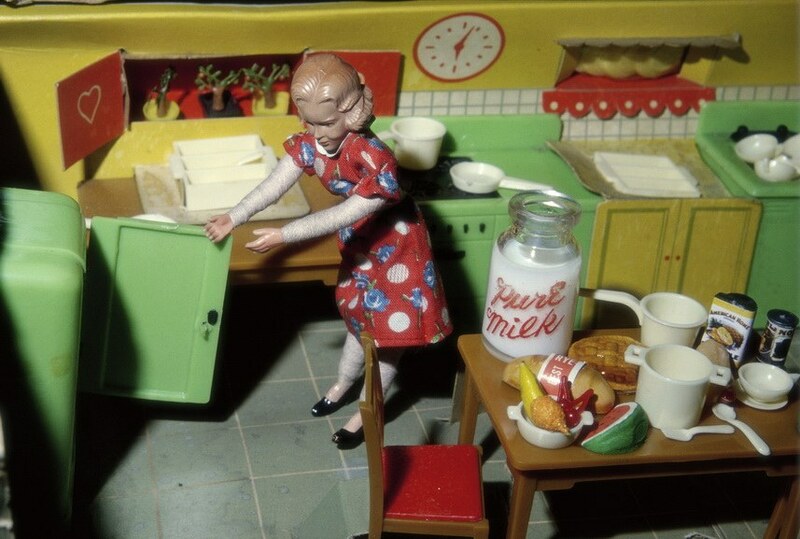 Laurie Simmons is known for questioning archetypal gender roles, so the images of women in domestic settings are in focus. Starting in 1976, this prolific figure started using various props and mannequins in order to create artificial human environments. By placing the mannequins in tiny settings she creates a strange atmosphere, so it can be said that the images are critically driven primarily in regards to patriarchy. In order to understand better her work, it is important to underline that the name of the upcoming exhibition is borrowed from the leading image Big Camera/Little Camera from the series Early Black & White. This juxtaposition of an actual camera and a miniature camera best embodies the artist’s main interest – to manipulate scale e.g. give life to a metaphor of real life and fiction. 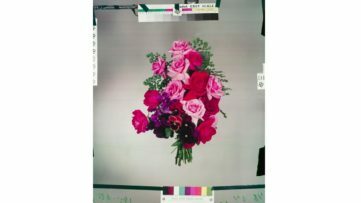 The installment will include several series which are crucial for Laurie Simmons’ oeuvre such as Cowboys from 1979, Family Collision from 1981, Color Coordinated Interiors and Tourism made in-between 1982 and 1984, as well as Clothes Make the Man from 1990–92. More recent works will also be on display such as The Love Doll made from 2009 to 2011, featuring life-size Japanese mannequins in everyday routine. How We See is another work from 2015, for which Simmons painted open eyes on mannequins with closed eyelids in order to question cultural trends of masking in the digital era. Simmons’s imagery takes into account her own experience of coming of age in the 1950s. Without being autobiographical or spelling out specific narratives, however, the work strikes a psychological chord, seeming to underscore the difficulties of living the American dream, or in a larger context, any dream of domestic bliss. Laurie Simmons: Big Camera/Little Camera is organized by The Modern Art Museum of Fort Worth in Texas where it will be on display from 14 October 2018 until 27 January 2019, and afterward the show will travel to the Museum of Contemporary Art Chicago. 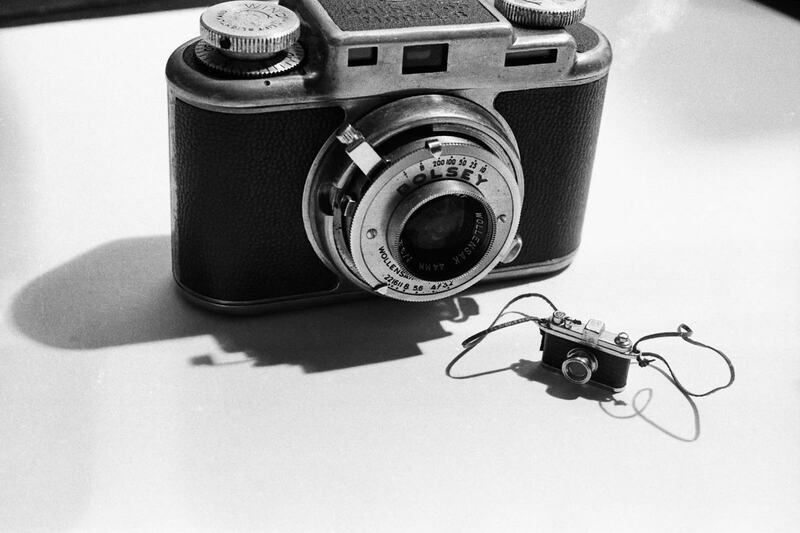 Featured image: Laurie Simmons – Big Camera/Little Camera, 1976. Gelatin silver print. Overall: 5 1/4 × 8 in. (13.34 × 20.32 cm). Courtesy of the artist and Salon 94. All images courtesy The Modern Art Museum of Fort Worth.